WHY BUY HOGAN PERSONALITY TESTS THROUGH PPI? We have been a leading distributor & training provider of Hogan Assessments for over 20 years. PPI chose Hogan instruments over many others because they meet our criteria for excellence in workplace assessment, including rigorous scientific standards and no adverse impact. We help our HR clients, coaches and consultants implement Hogan reports for candidate selection, development and career counseling. Our service is prompt and personalized, consistently winning high marks year after year from on customer satisfaction surveys. Paul M. Connolly, Ph.D.founded Performance Programs, Inc. in 1987 to provide workplace surveys, personality tests, and executive assessments for organizations. Dr. Connolly’s major expertise includes organizational measurement strategies, survey design and questionnaire development, 360 degree feedback, leadership assessment and leadership development. He has extensive training and experience in psychometrics. He co-authored many 360 feedback surveys with Dr. Clark Wilson, one of the originators of the 360 feedback concept. He has also facilitated the development of surveys with well known performance psychologist Dr. Jim Loehr, executive coach Dr. Wendy Alfus-Rothman, Bob Kaplan and Rob Kaiser of the management consulting firm, Kaplan-DeVries, Inc., keynote speaker Claudia Shelton, and leadership development expert Dr. Ginny Whitelaw. He has worked with many other human resource book authors and thought leaders in the Human Resources field. Dr. Connolly is an authorized training provider for Hogan Assessment Systems and has delivered hundreds of certification workshops on the Hogan Personality Inventory, Hogan Development Survey and Motives, Values, Preferences Inventory. Connolly is the author or co-author of seven books and many articles. He is a licensed psychologist and member of the Society of Industrial and Organizational Psychology and the Metropolitan New York Association for Applied Psychology. He is a graduate of Holy Cross College and Fordham University, where he received his M.A. and Ph.D. in general psychology. Prior to starting Performance Programs in 1987, Connolly was Director of Consulting Services for Management Decision Systems of Darien, CT, where he was responsible for customizing both survey programs and executive/management development training programs for Fortune 500 companies. Between 1980 and 1982, he was a consultant with Lopez and Associates of Long Island, NY, where he designed and implemented validated selection testing programs for companies under EEOC examination. His dissertation concerned selection of nuclear power plant operators. THREE WAYS TO PURCHASE HOGAN ASSESSMENTS! SELECTED HOGAN ASSESSMENTS AVAILABLE FOR PURCHASE ONLINE ! 1) Add to your cart. 2) You will receive an email with instructions to complete the assessment. 3) Your report will be available within minutes! Career Report $40: Identifies how you / someone will act in various business circumstances, identifies strengths and shortcomings, and includes detailed tips to help manage your / their career. Compass Report $40: Identifies your / employees’ core values, compares them with various occupations and cultures, and describes the type of environment in which you / they will be comfortable working and living. Candidate Summary $150: A self-guided interpretation of individual strengths, values, and challenges. The report is a snapshot of interpersonal performance, organizational fit, and a primer for performance improvement and shifts in behavior. Agile Leader $180: It will only take you 15 minutes to find out whether you are prepared for tomorrow’s leadership models. EQ Assessment $75: Assesses emotional intelligence, the ability to identify and manage your own and others’ emotions. Leader Focus $80: What Type of Leader Are You? Manage Report $40: provides managers with effective techniques for managing employees based on their personality. 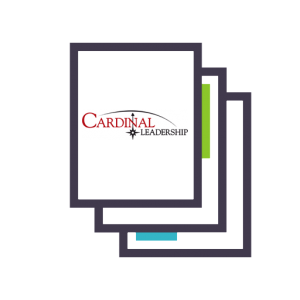 Cardinal Leadership $35: Assesses leadership that goes beyond what leaders do and provides insight and feedback for developing the heart and soul of a leader. 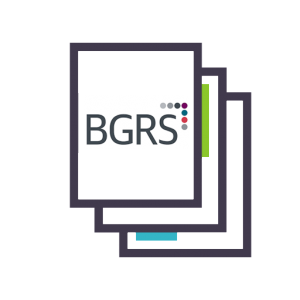 Global Assessment Inventory $55: Measures 10 attributes crucial for successful adaptation when doing business across cultures. 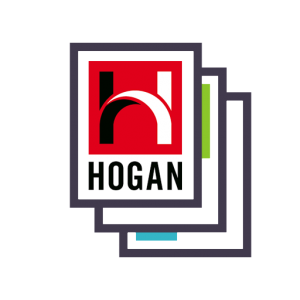 PPI chose Hogan instruments over many others because they meet our criteria for excellence in workplace assessment, including rigorous scientific standards and no adverse impact.